entered China around the third century BCE — and since that time (arguably) they have influenced each other as both flourished across China. Many concepts taught by Buddha and Lao-Tzu are comparable and complementary. Especially, with the later entry of Ch’an Buddhism — Zen Buddhism in Japan — as introduced from India by Bodhidharma, the two philosophies seemed harmonious. They were certainly not identical, but they rarely seemed at odds in method and many philosophical beliefs. In this temple in Sanguandaoyuan China, the shrine holds Guanyin (Avalokiteshvara, Buddhist compassionate Bodhisattva on left) along side Lao-Tzu and Daost deities. Buddhism and Daoism easy co-exist and even merge in day-to-day life for many in Asia. The beliefs and philosophies are not identical, but they are complimentary. There is no contradition, to either a Daoist or a Buddhist, in practicing both. The Tao is not a thing or a substance in the conventional sense. It cannot be perceived but it can be observed in the things of the world. Although it gives rise to all being, it does not itself have being. The idea is that the Tao pervades everything and in order to live a good and virtuous life, we have to live in harmony with it. The concepts of Tao and Shunyata (in Buddhism) are not the same, but they are similar enough — complimentary enough — to comfortably co-exist. The main way to do this is expressed through the Chinese term “Wu Wei” (non-action). This doesn’t mean lazily not doing anything but instead means living in accordance and harmony with nature and the natural flow of things, not trying to impose ourselves on and thus disrupt, this natural state. 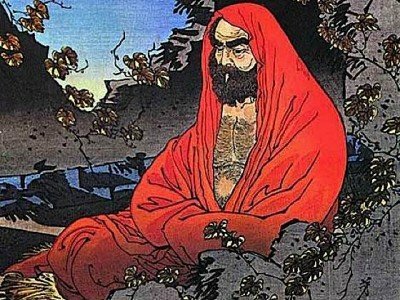 Bodhidharma, the great Buddhist Chan sage is associated Chan, Zen, and with Shaolin school and martial arts. The Daoist tradition was already present in China when Buddhism first entered the country over the border from neighbouring India around the 3rd Century BCE. The two religions came to heavily influence each other in China, and this Daoist influence on Buddhism — after the two started to interact with one another — helped shape history and philosophical belief in the region for centuries. Later, when the Buddhist Sage Boddhidharma brought the Chan school of Buddhist thought (Ch’an , Cha’n) from India, over time it was influenced by the Chinese faiths already present. This article will therefore explore a little of the history of the influence of these two traditions, some similar concepts between the two and also touch upon what Buddhists can learn from the Daoist mindset and doctrines, though this article will only cover a little of what’s undoubtedly a big topic. 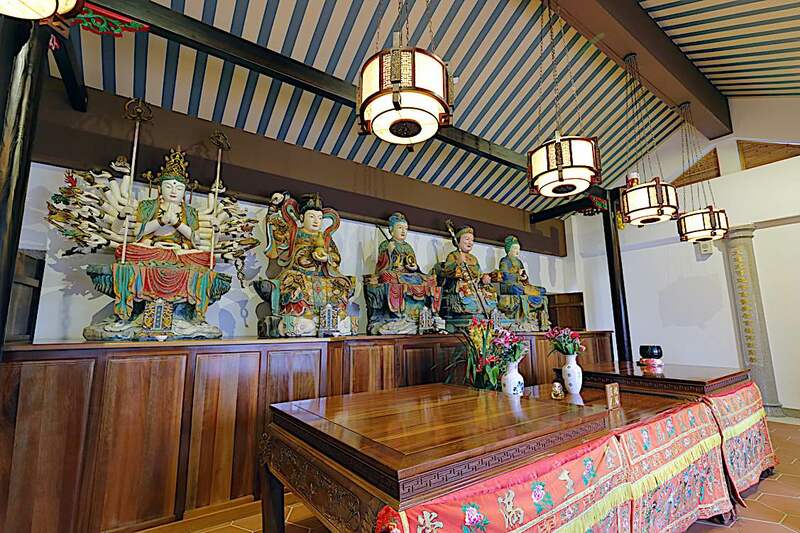 A chanting ceremony in Canada, at the Fung Loy Taoist Tai Chi International Centre and Temple which mixes all three of: Buddhism, Daoism and Confucianism. 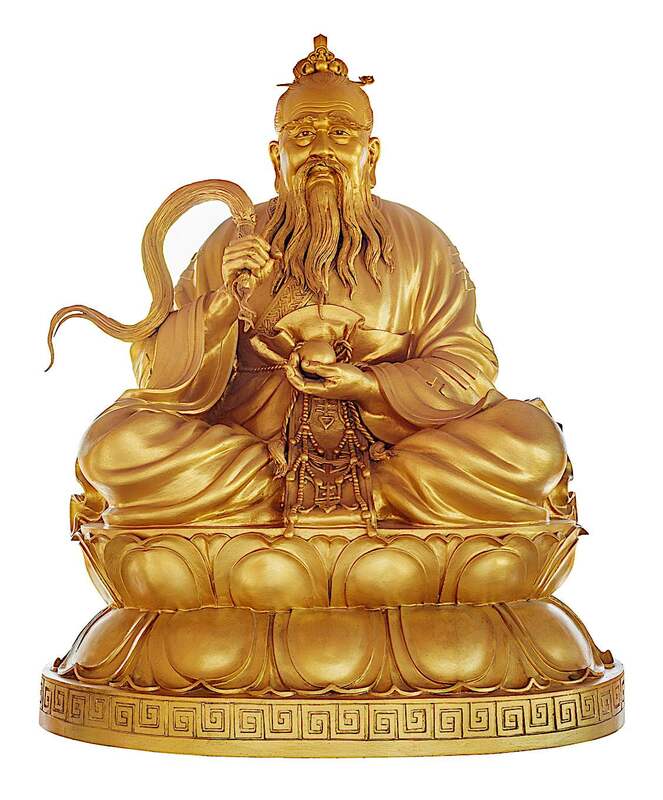 Lao Tzu, founder of Daoism was thought to have lived in the 6th century BCE. However, Buddhism was there to stay and it would have a massive impact on Chinese culture in the following centuries. Taoism, Buddhism and indeed Confucianism were lived together — mostly in harmony (with the notable exception of the Anti Buddhist persecution by Tang Emperor Wuzong in 845 AD). One reason Buddhism freely spread was that it was more philosophy than religion, and it rarely imposed itself on indigenous religions; instead it often complimented them and even evolved culturally to suit the region. When Boddhidharma travelled from Indian to China with Ch’an (which is a Chinese translation of the Pali word “Jhana” or Sanksrit “Dhyana” meaning ‘meditation’) Buddhism would similarly enrich the native culture – and be enriched by it in return. In many temples, including this one in Canada, the shrine typically has, as three principle deities: Buddha (here on left); Lao-Tzu (founder of Taoism) and Confucius. Combining these three traditions raises no eyebrows in Asia, since the philosophies and beliefs are similar (in many ways) and complimentary. Pictured Fung Loy Taoist Tai Chi International Centre near Orangeville, Ontario. A special transmission outside the scriptures, No basis in words or writing. Direct pointing to the mind of people. 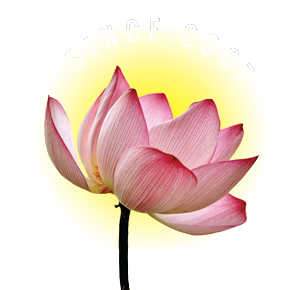 Insight into one’s nature and attainment of Buddhahood. In a previous article on the Zen tradition on Buddha Weekly, I pointed out that Zen — the Japanese form of Chan — seeks simplicity in the path to enlightenment; to not impose concepts on itself and to simply “flow”. This is very similar to the Daoist concept of ‘Wu-Wei’. This can also be seen if one examines some of the Zen Koans, illogical riddles designed to achieve instant awakening. A Daoism monk in Yunnan China. Neither the temples, nor the appearance of the monks, is that much different. In China and Japan, it does not feel strange for a Buddhist to walk into a Daoist Temple, or vice versa. A good traveller has no fixed plans and is not intent upon arriving. 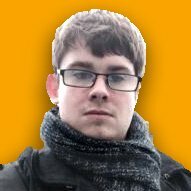 This concept of “empty yourself” of all pre-existing notions in order to truly understand what it is trying to convey is nearly identical in Doaism and Chan Buddhism (Zen). Likewise, the Doa (Tao) itself — as expressed in the BBC’s definition of the Tao — says, Tao does not have ‘being’. This is not the same as Sunyata — which is more about recognizing that nothing has an independent stand-alone existence. Likewise, the Tao is described as having no independent exsistence by itself but as giving rise to everything else. Sunyata therefore, sounds similar to Dao, even if it’s not the same. Therefore, these interconnected relationships should be symbiotic. In the case of the environment, if humans want to develop nature, they need to do so within nature’s ability to recover. Conversely, if nature is developed beyond its ability to recover, all beings will eventually be destroyed. While over development of nature may seem beneficial to humans from a short term perspective, eventually there will be long term consequences that will harm humans. 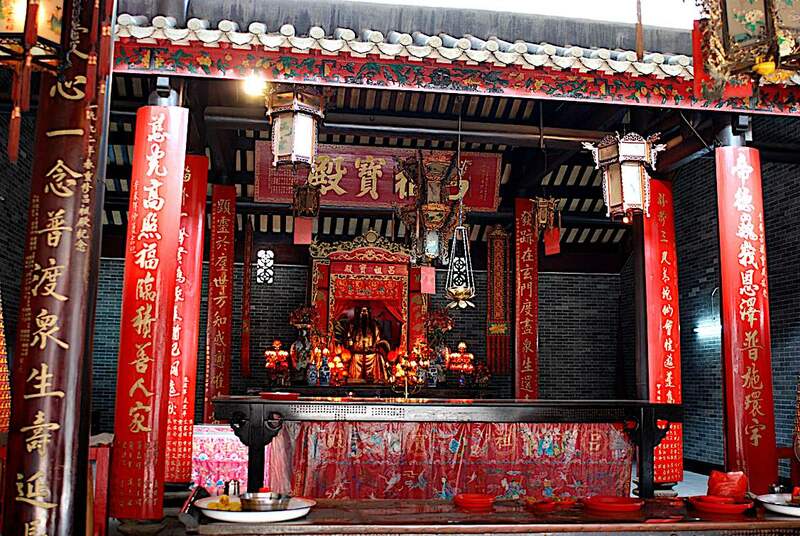 A Daoist (Taoist) “hall of oblation” in Guangdong South China. It looks similar to most Chinese Buddhist shrines. 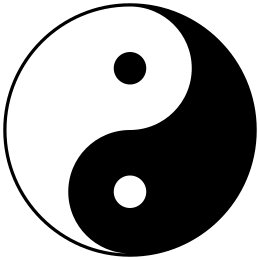 As already mentioned, one of the main Daoist ideas is that one must live in harmony with the Tao, nature and the order of things. As the Venerable Pomnyun mentions, the Buddhist idea of interconnectedness ensures that Buddhists also have to live in harmony with nature and not disturb the order and flow of things. Thus, one could argue that by keeping with the idea of interconnectedness in the context of ecology. Whether Buddhism and Taoism influenced each other, or separately developed similar ideas, might be open to opinion; but it is clear they are two spiritual paths that can complement rather than contradict. 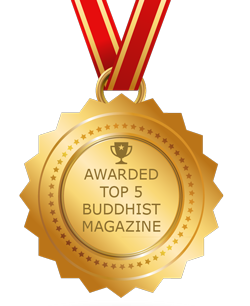 Daoism and Buddhism together are still “living” paths with adherents around the world. 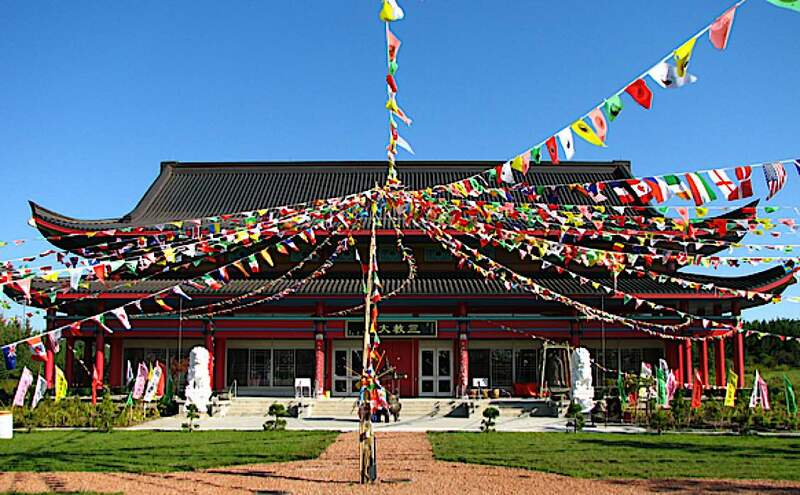 This temple in Canada, the Fung Loy Kok Taoist Tai Chi International Centre combines Taoism, Buddhism and Confucianism. They also teach Tai Chi. When comparing Buddhism and Taoism, it’s seems clear that both paths influenced each other. You can see this in the Buddhist/Daoist temples in China. It would be fair to say that Daoist influence certainly did not distort or corrupt the Buddha’s teaching — both traditions teach harmonious interconnectedness. 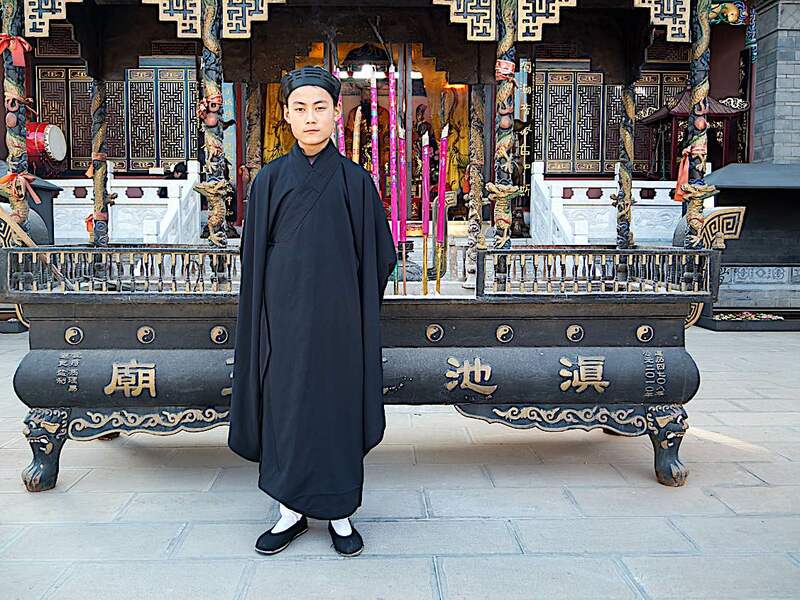 Over the centuries, these cultural exchanges have enriched both the Buddhist tradition and Daoist traditions, a testament to the inclusiveness and tolerance of both paths (or Ways). Internet DIY Dharma: What seven Buddhist teachers say about the pros and cons of Buddha’s teachings via the internet and the risks of do-it-yourself Dharma.